The flower may seem like a frivolous decorative part of nature, but it’s essential for plant reproduction. Without both the humble and showy blooms, we would not be able to enjoy most of the fresh foods we eat. Your local park would only have a few trees that can grow without flowering, and life in general would be quite drab and dull. Taking a moment to think about life without flowers can give you a better appreciation for why the flower is such a common religious and spiritual symbol. 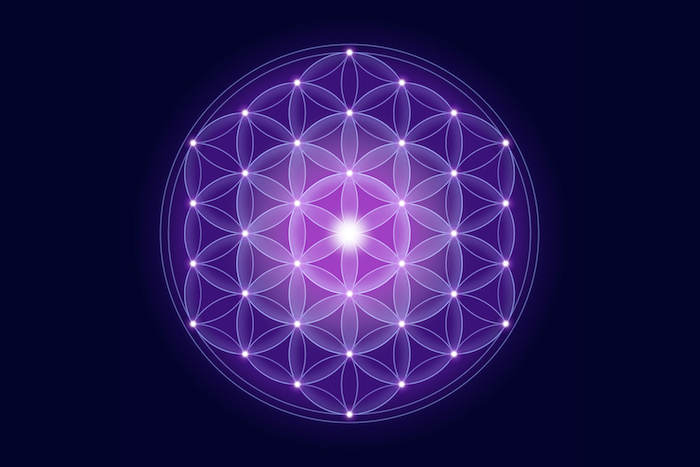 Among the various roses of celestial love and Snowdrops of forgiveness, there lies a mysterious and ancient symbol known as the Flower of Life. If you’ve arrived here asking “What is the Flower of Life?”, prepare yourself for the answer. While Sacred Geometry is now used to describe an astonishing amount of New Age material that has nothing to do with actual geometry, the term mainly describes the shapes, layouts, and dimensional patterns used for building sacred spaces. Religious traditions around the world hold their own sets of rules about how tall a temple should be built, or what shape the floor tiles should take in certain parts of a church. Builders and religious leaders have been working together to develop these geometric patterns and symbols for thousands of years. While the complex pattern called the Flower of Life has been used on temple floors since the ancient Assyrian era, modern spiritualist didn’t really know anything about the symbol until a man named Drunvalo Melchizedek started lecturing and writing books about its geometry in the 1980s. Unfortunately, a lot of his claims about history and the geometric qualities of the symbol were proven wrong as time went by. Still, he is responsible for bringing the Flower into modern consciousness again and many of his spiritual teachings about Sacred Geometry are still practiced today. Of course, we don’t know what the ancient Egyptians, Assyrians, or Greeks thought about the symbol. Leonardo Da Vinci put his considerable intelligence to the task of exploring the Flower of Life, but he didn’t crack its codes either in the end. With a lot of different meanings to various groups, the Flower of Life is perfect for using for your own spiritual purposes. You can follow along with any of the existing meanings, or spend some time meditating on the symbol to reach your own conclusions. It was used widely enough in the past and isn’t currently in use by any specific religion that there’s no real cultural appropriation taking place when you use it either way. Thank you for sharing this information. I’ve been wondering about this hexagonal figure/pattern since I saw it for a few minutes a couple of years ago.